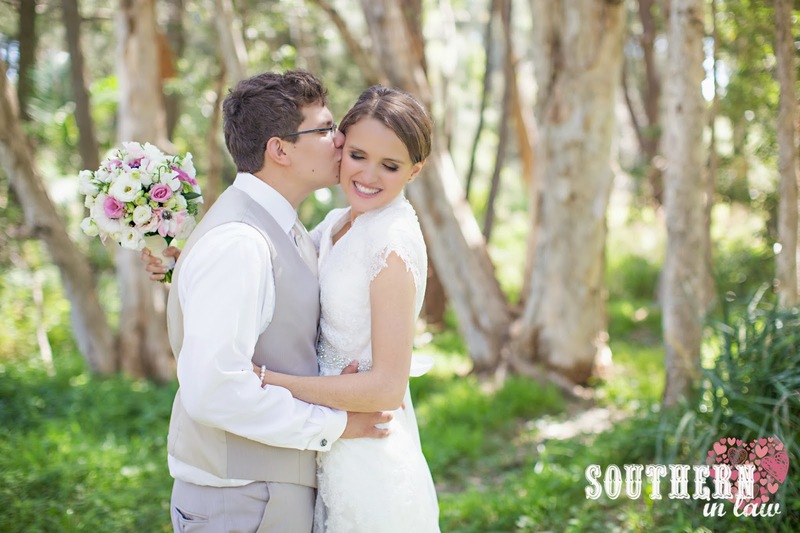 Southern In Law: What Changes When You Get Married? What Changes When You Get Married? Disclaimer: This is a sponsored post for Choosi, however, all content, opinions and tips are our own and have not been influenced by the company in any way. Well, our wedding is done and dusted (if you didn’t see all of our Wedding Recaps, here they are) – in fact, we’ve been married for a total of 114 days (and no, I’m not a weirdo who counts days/minutes/seconds, I just recently realised our wedding countdown app is now counting up !). As any married couple would know, the one question everyone seems to ask you is “How does it feel to be married?”. There’s no big bang firework moment when you get married and to be honest, it doesn’t feel that different – but I don’t think it should. You should be marrying someone that you’re already committed to, so marriage is just making things official. But that said, there are quite a few things that do change…. Things like; your name (possibly), your marital status, bank accounts, insurance policies, responsibilities etc. Something that’s always been important to me is insurance – particularly medicalinsurance. It’s just a given in my family. We all have medical insurance policies in addition to public health insurance (which is very much needed when you have one child who’s a coeliac with a million and one GI issues and another child with an auto-immune disorder), we take out travel insurance when we go away and my parents have life insurance policies. It’s just something I don’t think twice about. Jesse, on the other hand, only ever had private medical insurance if it was offered as part of his job – it’s just not something that’s so common in Louisiana. When we came home from Bali and Jesse got really really sick and ended up in hospital – that’s when it sunk into him that insurance is actually a good idea. You just never know when something is going to happen. Lately I've been really sick too (find out more here) and I've definitely rediscovered why private health insurance is so incredibly important. Today I was able to have Bowen Therapy, an alternative treatment to try and get me feeling a little bit better and not have me looking like I do in that picture - and it was covered by my health fund. I've been from doctor to doctor and soon, I should hopefully be having an iron infusion which will also be completely covered by my health insurance. You can be the fittest, healthiest person in the world – but at some time, you’re still going to need to use the health care system. Whether it be in the event of an accident or illness, simple medical appointments like visiting an optometrist or going to the dentist or even having a baby. Health insurance covers the cost of expenses that come both with preventing illness and staying healthy and also treating and managing illness and injury. We all know that when you have a car, you need car insurance – so why wouldn’t you protect your own health and the health of your family? For us, health insurance is a must – especially as a married couple. We’re responsible for ourselves and as we’re saving for a home, the last thing we want to do is have our savings wiped thanks to an emergency hospital visit or freak accident. There are dozens of different providers, all offering different covers and premiums. It’s important to shop around when choosing health insurance and websites like Choosi allow you to do just that by giving you quotes from a number of insurers and letting you compare premiums and covers to find what’s best for you. Legislation now also gives health fund members the right to switch funds on the same level of cover without serving new waiting periods, so you can also look around and switch to a different provider if they’re better suited to your needs. By choosing an excess on your hospital cover, you agree to pay part of the bill if you go to hospital. In return for this payment, the health fund gives you lower premiums (so you pay less each month). Excesses can range from $100-1000 and the more you agree to pay, the lower your premiums will be. Remember that it’s not all about getting the lowest premium; it’s about finding a cover that suits your needs. If you’re likely to go into hospital, you don’t want to be paying for the first $1000 of your medical bills – whereas if you’re someone who is unlikely to need to go to hospital, paying $200 may be perfectly fine. In addition to the excesses I spoke about above, some Health Funds also have a co-payment option for hospital admissions. Generally speaking, excesses are paid on admission regardless of how long you stay, whilst co-payments are paid for each day you spend in the hospital. This means you could end up paying thousands of dollars if it’s a long term admission – so you want to make sure that you’re not getting hit twice for payment. A lot of people don’t realise this, but you don’t actually have to buy your hospital cover and extras cover from the same health fund if you don’t want to. You can actually access a broader range of options by mixing and matching your cover with a different fund and you’ll also benefit from better cover, rebates and premium savings. Speak to your friends and family about their own medical insurance. Find out who they’re with and what their experience has been like – and have a look at reviews and ratings on websites such as Choosi which will allow you to see what others are choosing. Here’s Choosi’sHealth Insurance Reviews if you’re interested. This is an important one as you may think you’re covered for something, only to find you’re not when it comes time to claim. This is also important for anyone with a pre-existing medical condition. Many funds will subject you to a waiting period before they will cover the cost of any treatment for pre-existing conditions (an illness or ailment that you’ve had for 6 months prior to taking out health insurance or upgrading cover – this can even cover conditions you don’t yet know about). Sometimes, insurers will waive waiting periods if you’re transferring over to their fund from another or if they have a special offer on. Often times, medical insurers will allow you to choose extras such as cover for dentistry, physiotherapy, optical etc. Every health fund is different so the services offered and the rebate you’ll receive will differ. This is why it’s important to make sure that your cover satisfies your requirements. The cost of your policy should be weighed up against what you get back in terms of services offered and benefits paid. Some may give you a % of your fee pack whilst others may pay a set amount of the service. Before you choose your health fund, check the benefits that you will receive on the services you actually use. Benefits may also depend on whether your policy is a single/couple/family policy so check to see whether your limit for benefits is per person or per couple/family. You might not realise it, but calling 000 and jumping into an ambulance could cost you thousands of dollars – so it’s important to find out whether your health fund will offer you full cover (for air, land and sea transport Australia Wide) or emergency cover (which covers you only if the paramedics classify the call out as an emergency). Choosi recently launched their Choosi Blog and they posted a fantastic post on What to Do After You Get Married. It covers everything from medical insurance, to income insurance and lifeinsurance for spouses and individuals and I think it’s something every newlywed or engaged couple should read and consider. But tell me, how do you feel about private health insurance? For me, it’s certainly worth it – having to visit specialists (for anaemia and GI issues) and have iron transfusions in hospital could cost me thousands but luckily, my private health insurance covers quite a lot of those fees. It’s an expense I have to pay each month – but one that saves me in the long run. 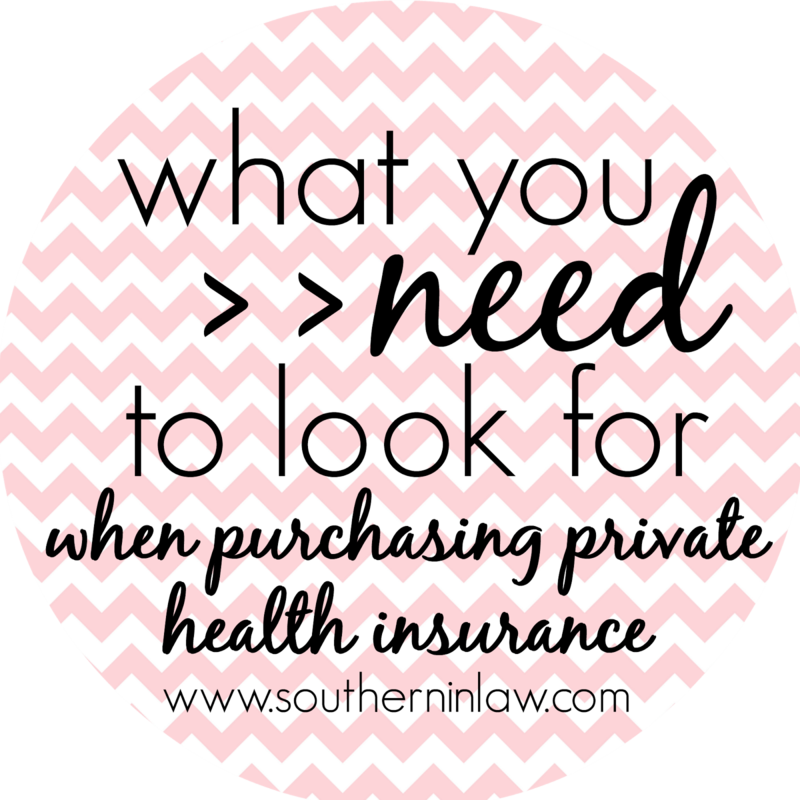 Comparing private health insurance policies can be so difficult. Does Choosi offer an easy way to compare the same level of cover across providers so you don't have to serve new waiting periods? I recently wanted to switch and found it difficult determining what was the same level of cover, since they're all packaged differently! Interesting read Kristy, especially as I work in the industry. One thing I would suggest that your readers look at when visiting the comparison sites, is who the underwriter is. Something I discovered when shopping around for pet insurance for our cat, was that the underwriter for every brand suggested to me was in fact the same company and great chunks of the PDS were the same. There's an independent Government website at http://privatehealth.gov.au/ which has comparison tables and explains how everything works. As it's not put together by somebody trying to sell you something, it's a good place to start if you are trying to get your head around all the terms. I'm excited to try this!! I'm on a sugar free diet called, Trim Healthy Mama. :) This will fit my plan so well! I was recommended to read you blog and recipes by a friend of a friend of yours. Whilst I didn't meet my now husband online, I did however meet him when I was young. It wasn't until I was 19 that I was able to tell him my feelings, as his married broke up (I had nothing to do with it and I hadn't shown any feelings to him. ), I was still in love with him, but had never told him my feelings. Then on New Year's Eve 2002/03 my life changed forever. I was spending New Years with my gorgeous sister, I met up with her in Newtown, NSW. We were going to go to the New Years fireworks on Sydney Harbour. I met her at a Vietnamese restaurant. And who was sitting there chatting to my sister? Kev, my now gorgeous husband. I was still 100% in love with him. We spent the next few hours laughing and chatting about everything we could. He told me that his now ex wife had cheated on him and that there was now chance of reconciliation. He was smart, funny & most of all he was genuinely sweet. I hurt my hand that night and he held my hand so gently and sweetly kissed it. I still didn't tell him my feelings, as I figured he had enough on his plate with the whole ex wife thing and wouldn't want to get into a relationship. Then at the stroke of midnight the fireworks went off. It was gorgeous and I was so excited (it was my first Sydney New Year's Eve fireworks), I turned to Kev in excitement and then he he kissed me and the rest they say is history. Our friends say that our relationship and love is serendipitous. We have been together ever since. We are married with two little boys, one with whom was born a year after we got together. We have never been happier and are still crazy about each other. We are 12 years together and still hold hands when walking and still catch a cuddle on the escalators. What a story, Rachael! I'm so glad you took the time to leave a comment and share it with us - and I'm so glad that you finally got your man! You're definitely right! Thank goodness you didn't have to pay anything! "Choosi offer an online comparison service. Once you select your options (e.g. level/type of cover and state), you’ll be taken to a comparison table that allows you to review the benefits and waiting periods. So you can see how each product compares to the other. Alternatively, if you are after more detail, you can call Choosi and we’ll talk you through the comparisons. Also, each health insurance policy has a fact sheet (or Standard Information Statement) which provides an overview on the policy benefit and waiting periods. You may find this helpful to when comparing. These are available on Choosi (through the comparison table) orprivatehealth.gov.au can which lists all health funds and their policies." I just adore long distance relationships, and your's is no exception! Thank you for sharing your story and thank you for sharing your healthy recipes. I just happened to find your site when looking for a potato salad recipe and will most definitely be back! Hi Kirsty, I stumbled upon your blog googling recipes, which sound great by the way! You're a wise woman changing the name of the food, just so your husband will eat something, I don't always tell mine what is in it until he's eaten it! It's nice to hear there are people who still have long distance relationships. I met my husband in Singapore when I was there for a Youth for Chirst conference in 1998, I was there from NZ. He carried my shopping and was such a sweet guy, we exchanged addresses, and wrote to each other, yes we wrote letters, he is Fijian and not many people had the internet in Fiji waaaaay back then! Ha ha ha... We wrote for maybe 15 months, he came to visit for a "month" but I managed to get him to stay longer, we got engaged after a month an married 6 months later in May 2000. 14 years, 2 handsome boys and a move to Perth later we are more in love than ever. Yes we were young, yes it may have been crazy, but we grew together, and are crazy - in love! I think writing was the best thing, and we still have the letters! Hi Olivia, what a story you have - and congratulations on getting through it all and still being crazy in love today! I can't imagine how you did it - it was hard enough for us even having the communication and internet we had! Howdy! I understand this is somewhat off-topic however I had to ask. Valuable information and excellent design you got here! I would like to thank you for sharing your thoughts about cheap pet insurance into the stuff you post!! Didn't see it mentioned but there are a few things about Chia seeds that are VERY important to know. Most important is that is very high in fiber-40% by weight A cup of this pudding is like a tablespoon+ of metamucil so be warned. It also contains loads of 14% protein by weight, Omega 3 and other andioxidants, calcium and magnesium. Lowers your glycemic index as well. It is amazingly good for you if can take the 'accelerant' effect. Enjoy! So I just wandered across your blog and read your story and had to say hi! I'm originally from North Carolina and met my partner who is an Aussie in Hawaii back in 2010. We also did the long distance thing for a few years before I finally moved over - totally worth it! Hey Rachael! Thank you for stopping by and taking the time to leave a comment! LDRs are totally worth all of the pain and separation when they work out - and I'm so glad you guys have a success story too! Jesse absolutely loves Australia - to the point where when we were back in Louisiana earlier this year he was the one who kept saying "Oh I wish I was home" or "I can't wait to get home" haha. I met my boyfriend in university and we hit it off in a way I never would've imagined. Because of circumstances, we had to stop talking for about a year. When we started talking again and it was as if no time had passed. We would drive 2,5 hours every weekend to see each other. but we missed one another so much that after only a few months we moved in together. We also travelled to Europe and decided to sell everything to move there to experience a new way of life. We've been travelling for 2 months now, going to settle down in Germany in a few weeks, and it's the best experience we've ever had! I wish you guys the best for many years to come! My names Darcy and im from Australia just like you :) I have been talking to the love of my life.....who happens to live in America for 4 years now (Im 16 and she is 14). Although we might sound young to you, nothing is different. We skype call, we make each other die of laughter, and somehow we always have something to talk about. Unfortunately we have not seen each other once yet. I go to an all boys school in QLD which next year, when im in grade 12, we do a "formal". Its essentially a dance night, and I asked Mariah if she would like to come along (its in April) :D We don't know for sure if she can come. But what im trying to get at is you guys seem to have an identical love story as us. We talk literally every single day, and we are mad for each other. All i want is to see her, but im nervous like you were. Not about her, but about myself. And i don't know how meeting her family one day will go. I LOVE this blog because it is exactly what im going through. We are 9,800miles or 15,000kms away from each other. Yes we started young but she means the world to me and i am just unsure of some things. Can you tell me how it was the very first time you met, and what it was like meeting his mum and dad. (I know you have written abou this, but could you just tell me anyway :P I want reassurance) Because im Australian just like you i dont know how an American family will react to me haha Thank you. First of all - I want to let you know that Jesse and I wish you all the best of luck with your relationship! Long distance relationships can be so hard - but as you can see, they're definitely not impossible! We were only 15 and 17 when we first started talking - and now almost 7 years later we're still together - and married too! 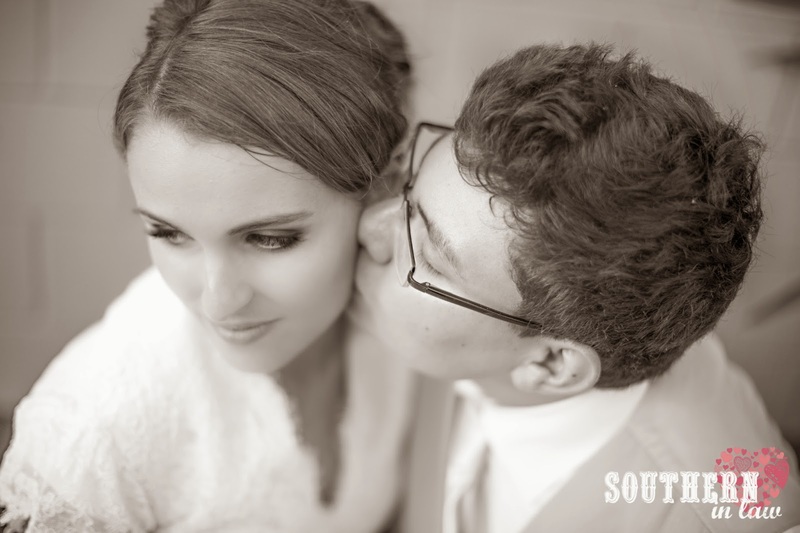 I actually wrote a post about meeting Jesse's family here (http://www.southerninlaw.com/2012/07/wedding-wednesday-jesses-family.html) and the whole experience of meeting Jesse's family was way easier than I ever expected! I was SO nervous but it was just a natural fit - we instantly hit it off! My best advice for meeting your girlfriend's family is to start talking to them before you meet them! I emailed Jesse's family for a little while before we flew out there - and Jesse and I each told our families all about each other so they knew quite a lot about us before we met! what a great love story! Love does not know about distance, does it? This reminds me a lot of my own love story, when I happened to meet my future husband #2. A story full of coincidences. My son, searching a place to sit down to eat his BBQ, asked this shy guy.... OK, ... and my sister could sit down too? ... OK.... and my mother, could sit down too? .... Well, the future family was already complete without knowing. Anyway, three months later we both had spent our savings on phone calls and needed a decisions. What shall I say? We have been together for 25 years now and happily married since 1993. We attended Harley Davidson Gatherings from Greece in the south to Finland in the north of Europe, always celebrating the reason we once met. And love is still with us, more than ever. Love certainly doesn't know distance! Isn't it funny how things workout? It sounds like you and your hubby were certainly meant to meet! love your love story! I feel in love with a man when I was 19 and he was 20. I was in Canada (originally from Maine in the USA) for my first week of College. Kevin was visiting to say good bye to his friends before he left to live in Brisbane Australia. He was born in Canada, raised in Africa and went to college for 4 years where I was about to attend. We saw each other the first day I arrived. We were both nervous and there was an instant spark between us. He spent everyday for 2 weeks walking me to classes, going to meals with me, walking in the park, talking on the playground. We fell in love. We talked about me coming to Australia end of my year at college and getting married. We had no Skype, no facebook, emails, only letters that took weeks to send. We wrote for 7 months and talked 3 times on the phone. I can't explain why but I let a negative person influence me and I broke up with Kevin, nearly having a mental breakdown. I never got over Kevin and knew I had made the worst mistake of my life. I married someone who wasn't good to me, the same one who broke us up. I stayed for nearly 26 years in a painful marriage. I was divorce 2009 when I was 47 years old. Kevin's mom found out I was divorcing and started matchmaking us back together!! He had been divorced for a few years and had been emotionally hurt as well. Through emails, Facebook, and eventually Skype we reconnected within a years time. We flew halfway to meet each other again in Hawaii Feb 2011. We knew we still loved each other even though we were different people now. We were married in Australia June 2012. His Mom passed away from cancer but she knew before she died that we were to be married. Life has come full circle, I now have my son and 5 wonderful step children (all grown).